Adams, Ansel. 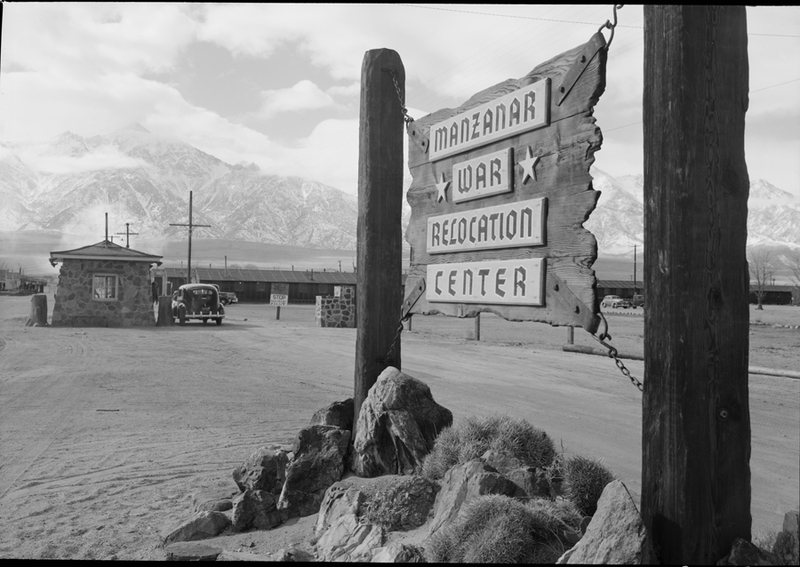 “Entrance to Manzanar, Manzanar Relocation Center.” 1943. Manzanar War Relocation Center photographs. Manzanar War Relocation Center photographsWhere is your eye drawn to first in the photograph? Why do you think the photographer wanted you to focus on this portion of the photo? Zoom into this photograph (online | .pdf). Investigate other details you see in the photo. What do these details add to the overall story that the picture tells? What do you think the photographer wanted people to think or feel when looking at this image? Delve deeper into this topic by reviewing some of the resources from this related primary source spotlight. In what ways did your research alter, or change, and enhance your reading of this primary source?